Design slogans such as “less is more,” “form follows function”, and “machine for living” are dirty, shallow, arrogant ideas to some. These ideologies inhabit the very worst of modernism and industrialization. That mass production and marketability are inherently more valuable than craftsmanship and the work of an artist. That one sort of usurps and takes precedence over the other. That purposefulness and use cannot go hand in hand with form and one must come first. That aesthetics are somehow trivial and insignificant and a mere deterrent from what is really important. 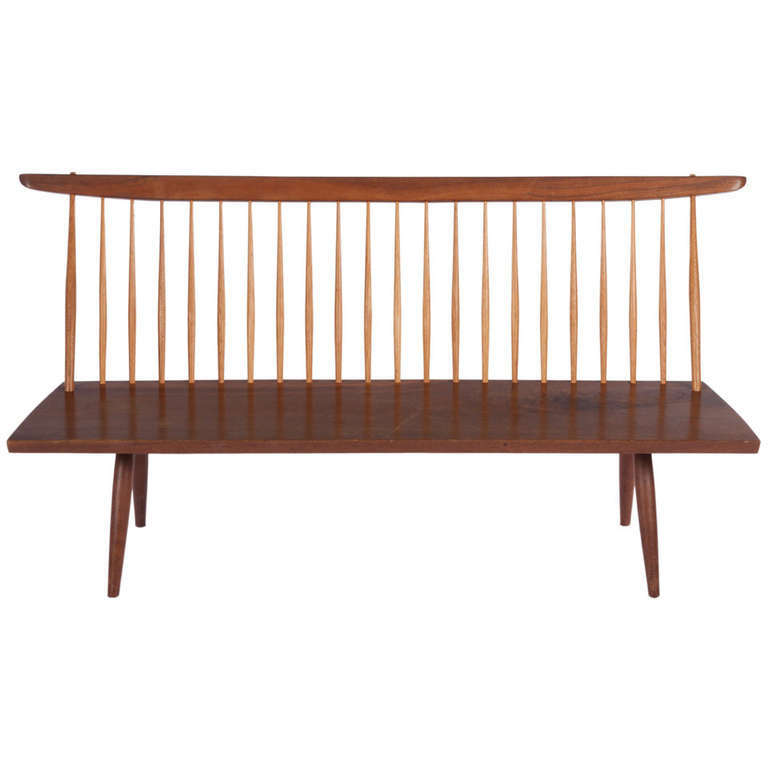 The refutation of this ideology was shared by established furniture maker, George Nakashima. He valued aestheticism, as well as creating something which would have the ability to transcend time and to maintain its value. He believed in education and craftsmanship, in manual skills, altruism and nature, the beauty of simplicity and working in harmony with your surroundings. He would reflect back upon prior eras where every physical thing that was created was special and meaningful in its level of quality. He would look upon design as something greater than creation, as a way to give back. In fact, it was his dream to create a peace foundation, to create a sacred place, altars for peace, one on each of the seven continents, and this dream has been realized on several continents thus far. Nakashima’s woodworker creations continue to be made to this day. His creations are still produced with the same level of responsibility, skill, and quality. He fought for the ability to create the way he saw fit and even unto this modern era of throwaway culture and newer is better, his vision has persevered. “In a world where manual skills are shunned we believe in them, not only in the act of producing a better product, but in the sheer joy of doing or becoming. We feel that pride in craftsmanship, of doing as perfect a job as possible, of producing something of beauty even out of nature’s discards, are all homely attributes that can be reconsidered.